Email marketing is one such method that some brands have moved away from in favour of social. Statistics show that this could be a huge mistake and that there is still a lot to be gained from targeting consumers via their inbox. With the increase of mobile internet use, the potential to reach people via email is huge and an email is now often received in the same way as a text message. 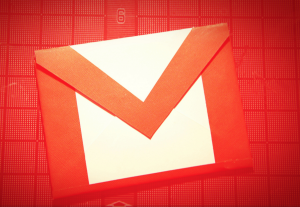 41% of emails are read on a mobile device with a massive 75% of gmail users accessing this service via a mobile device. Even if a person does not have their email connected directly to their mobile phone, it is incredibly likely that they still check their inbox on a daily basis. This is one of the biggest reasons why email marketing is still arguably the best way for businesses to reach their target audience. The key to success with email marketing is first and foremost to have a compelling email subject line. If you do not capture the attention of the person receiving the email then they are probably not going to open it. Your email will be deleted and the value of this connection will be lost. Offering a discount or some kind of exclusive offer is a great way to gain attention. Additionally, the content of the email must be of some value to the consumer. If you are not offering a discount on your products or services, then providing valuable content that is of interest to the recipient is also a good way to encourage them to click through to your website. Essentially, your email content must be engaging, interesting and inevitably of some benefit to anyone reading it. One great advantage that email marketing has over social media marketing is that you can almost be certain that each recipient will see your email. Even if they choose not to open it, they will have still seen your brand name and you are therefore reinforcing your presence. However, with social media, you can target the advert at a group of people but you can’t be certain that everyone will see it. A combination of various marketing techniques is of course the best way to achieve all-round success. Remembering not to negate the traditional methods in favour of new ideas will help to keep you relevant in your industry and help to secure results.